This is a follow-up to last year’s Preparing Your Home for Winter post with some additional tips for winter home preparation. Friendly Fires offers off-season discounts on chimney cleanings – keep this in mind for the summer months! Want to save significant money on heating bills? Plug up all leaks throughout the house that allow cold air to come inside and warm air to leave. Any openings in the floors, walls or ceiling that have been made for pipes, vents, power lines, etc., may not be well-sealed. Perform a visual inspection throughout the entire house and find out where better seals are needed. Caulking will do the trick in most cases. When it’s freezing outside, what happens to the water in plumbing pipes that are subject to the cold? It can freeze and then expand and then burst the pipes. The simple solution is to wrap the pipes with circular foam padding that you can buy at hardware or home improvement stores. In a bind, you can even use insulation for this job, just make sure you use a strong tape like duct tape to completely secure the insulation. Every home and car needs one, and they should include shovels, a strong flashlight, a battery powered radio, non-perishable food, water, a cell phone charger, a fully stocked first aid kit, cash and other items that could be needed in an emergency. Follow these tips and those in part 1, and you’ll be ready for whatever winter can throw at you. 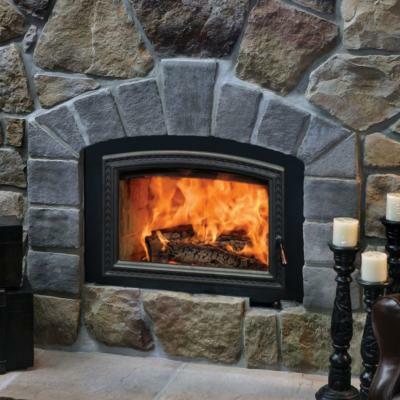 Whether you are looking to upgrade your masonry fireplace with a gas or wood insert, install a new gas stove to heat up that chilly area of your house, or want to create the perfect ambiance in your family room Friendly Fires can help you find the perfect model for your home. Stop into or call any of our five locations today!